2.Genuine product with excellent quality We choose our material very strict. 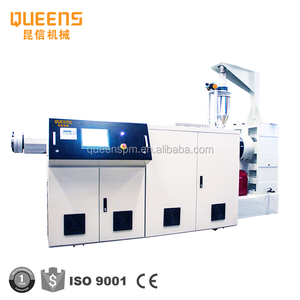 All the material come to our factory must pass the quality test Substandard goods are returned to the supplier. All the machine must be checked out ,then delivered to our customer. 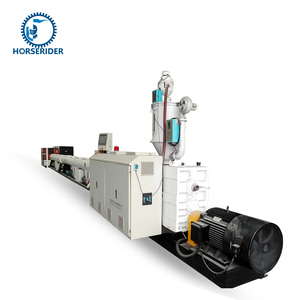 The main products are including: UPVC, PPR small diameter pipe extrusion line. 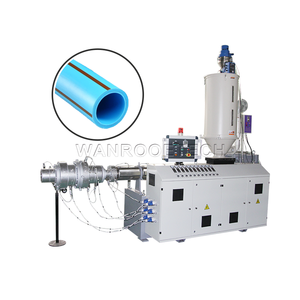 Large diameter PE water pipe, MDPE gas pipe, UPVC pipe extrusion line. PVC window profile, ceiling , window sill, siding plate extrusion line. 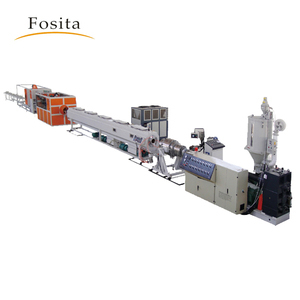 PE pipe production line Use This PE pipe production line,also can produce the PVC pipe after change the die head etc. It produces product wall thickness adjustable, the inside and outside is bright and clean,the cold bending performance is fine. It&rsquo;s the ldeal pipe for constructs which the crossed wire and the line reorganize to use,and it has the broad market prospect.